Prairie Village Healthcare is a skilled nursing and rehabilitation facility located in the beautiful community of Jacksonville, IL. We are a 126 bed facility (74 skilled and 52 intermediate) which emphasizes the team approach to comprehensive treatment, enabling our staff to give our residents the best quality care available. We are devoted to providing a customized program of care for each of our residents to meet their specific healthcare needs. "Quality Care with a Personal Touch". We specialize in providing the best nursing care for our residents. We have been providing care to residents for over 40 years. 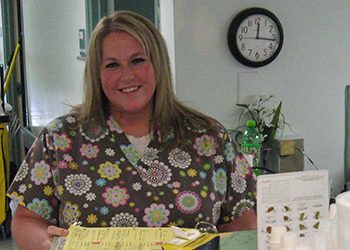 Our experienced staff bring you the highest quality care. 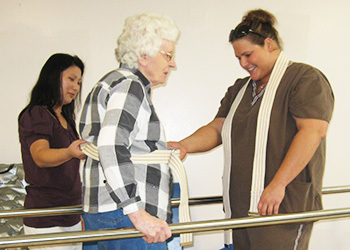 We offer the latest technology, equipment, and nursing team in our specialized area for rehabilitation. We are committed to providing you and your family peace of mind through responsive, courteous and gentle care. We welcome you visit to our community today.